I tried but its still not listed. is there any way to fix this? 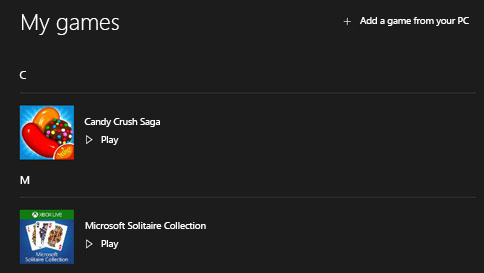 Microsoft Solitaire Collection was on my “Windows Signature” laptop when I got it a few weeks ago, but after an update it disappeared. It is now not showing up in my list. Store says it is downloaded so can’t get it again. Cannot find it thru X-Box but can play it from the Store! What is going on?? Not happy. how it won’t let me do what ever i have to do.